What's on in Megeve, Megeve Agenda, Megeve Winter Sports..
19th December 2015, Welcome to Megeve – Free drinks in the village. 19th December 2015, Opening of the Megeve / Portes du Mont-Blanc ski area. 23rd – 24th December 2015, Christmas Creche Megeve, made from ice & snow. 30th December 2015, Megeve Ice Party at the Palais des Sports, Entertainment, DJ, restaurant and bar service at the ice rink. 31st December 2015, Torchlight parades, from 18.00 to 20.30 presented by the ESI and ESF ski instructors of Megeve. International Curling Tournament at the Palais des sports. 30 teams of 4 players in competition from Switzerland, Spain and France. 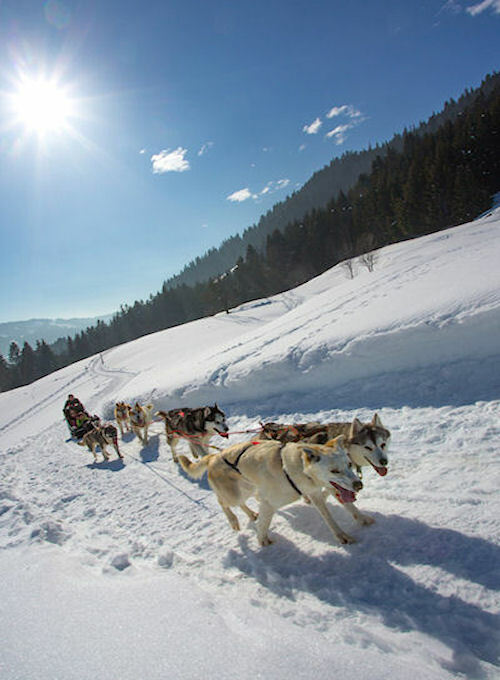 KEY FIGURES – 1000km of effort in the Alps for a spectacular race, 30,000m altitude gain, 30 of the world’s best mushers and 400 dogs. Femini Cimes. From 09.00am, at the domaine skiable Les Portes du Mont Blanc – Jaillet. THE day for women to ski in Portes du Mont-Blanc. The ski area and tourist office have rolled out the red carpets to treat all the ladies! BMW Polo Master Megeve, The BMW Polo Master Tour brings its tradition and elegance back to Megève with a stage just opposite the sports centre. Glisse Party Weekend at Jaillet. Entertainment and events include : free ski tests, open slalom, new snow sports, free “taxi ski” trials, etc. A festive weekend on the theme of “Ski for all” throughout the Jaillet / Combloux ski area. Try out all kinds of snow sports: freestyle, freeride, handiski equipment trials, biathlon, etc. Festi Nordic. A day at the discovery of Nordic activities: nordic ski initiation, skating & biathlon, try out dog sledding & canirando, nordic hike, ski joëring*, sled, and snowshoeing. Snow Golf Cup at Mont d’Arbois. 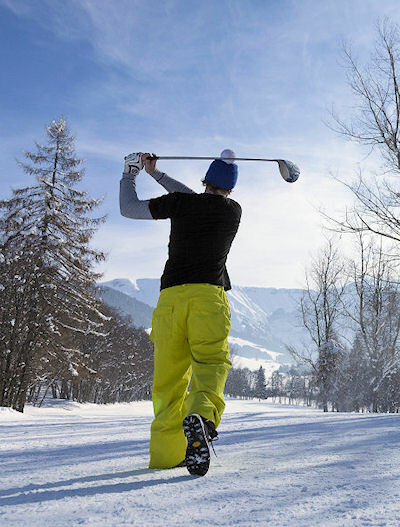 It was in 2000 that golf on ice was born in Megeve thanks to Phillipe Guilhem a fascinated golfer who had the idea of putting Megeve in the Winter Cup. World Cup Freestyle Skiing at Cote 2000. Megève is very proud to host the Freestyle Skiing World Cup final. A winter highlight with the best freestylers on the professional circuit. The competition will be a dual mogul event necessitating maximum speed and commitment for the jumps. The spectacle is guaranteed for both experts and novices. The difficulty of the slope is its length, being among the longest in the World Cup and its regular profile and average incline make Cote 2000 the ideal site for the final. Night skiing at Jaillet from 18.00 to 22.00. Cross Country skiing and biathlon initiation from 18:00 to 19:30 just behind the Casino in the centre of Megeve. Audi FIS Ski Cross World Cup final at Cote 2000, Megeve. Freestyle – Mogul Skiing World Cup Final at Cote 2000. 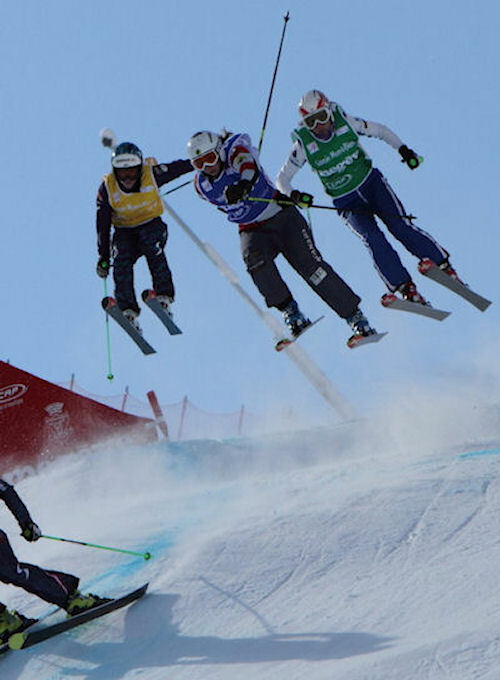 Megève is very proud to host this Freestyle Skiing World Cup final. A winter highlight not to miss where the 24 best freestylers on the professional circuit compete against each other. Megeve Winter Party at 12.00 at La Brasserie des Arts Restaurant, mid station Princess lift. 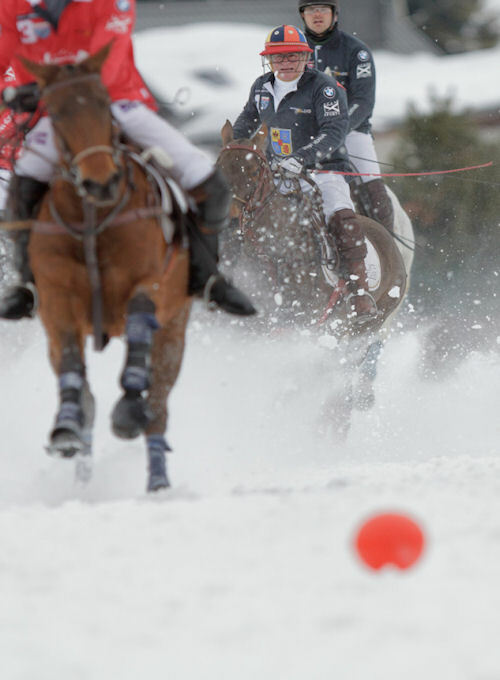 The Megève Winter Party is the big event of the end of the winter 2014 season! Dancesport Open at the Megeve Sports Centre. Thousands of couples, both children and adults, competing against one another to the rhythms of Latin dance music (samba, rumba, cha-cha, paso doble) and other traditional dances (Viennese walse, quick step, foxtrot and tango). Last Ski day of the ski season at Cote 2000, ski for free.